Complete Care Community Health Center (South Gate) - Book Appointment Online! Complete Care Community Health Center is a comprehensive health care facility dedicated to patient care with a humanitarian touch. 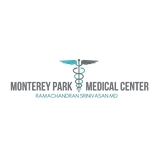 Our team is staffed by a board certified Rheumatologist and allied health professionals who are dedicated to treating patients with dignity and compassion.